The majority of my friends recommended an Ergobaby carrier, so that is what I got! Goodness how quickly it became my Number 1 Baby Item. I probably never went a day without using it. After the Ergobaby came into my life, I could actually get things done around the house (and go places)… and this was a huge change to my previously stressed and isolated existence. When my second son was born, my love of the Ergobaby took on a whole new meaning. Babywearing meant I could still do things with my 2 year old, because bub was happy to nap, nurse, and spend time in the carrier. It was a lifesaver! Now, with #3, the Ergobaby definitely makes it to my list of essentials for babies. I simply don’t know what I would do without it. If you follow me on Instagram, you may remember that when my daughter was younger I used to wear her while I blogged! Thanks to Babes In Arms I was very excited to try out the new Ergobaby 360 this time around, which is awesome because baby can sit facing me like in the traditional model but she can also face forward with a simple adjustment to some buttons on the carrier! My baby girl is now 11 months and enjoys the change of facing in and out depending on what we are doing and where she is in her sleep cycle. But although I love how a baby carrier allows me to get stuff done or help baby get to sleep, baby wearing has become so much more than a practical choice. Both my husband and I have grown to love and respect babywearing for so many more reasons. Here are some of our favourites. To get the cleaning done… without a baby on the floor while you are vacuuming, taking out all the toys you just put away! BONUS – To make beautiful memories because you are able to do things so closely *together*. What are your favourite parts about babywearing? 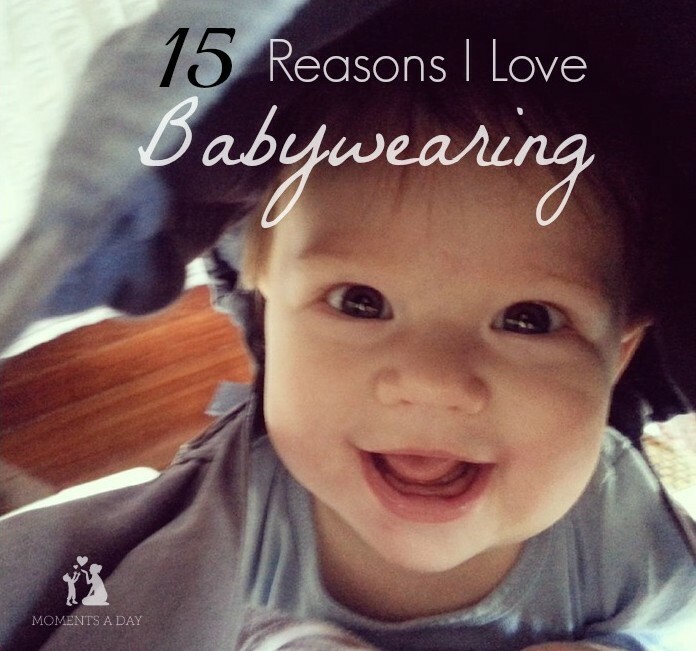 Do you have fond memories of wearing your babies? 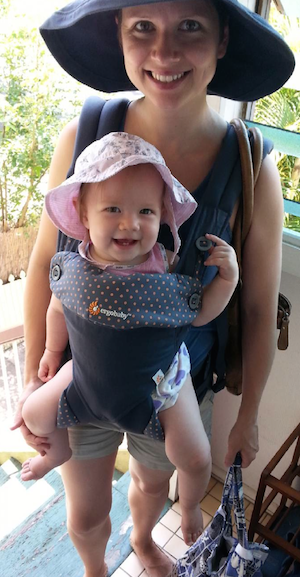 Thanks to Babes In Arms for sending me an Ergobaby 360 to review. All opinions are my own. To read more about reviews on my website, visit this page.